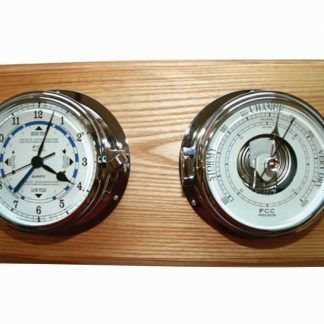 Coastal home set comprising spun chrome Tidal Clock and Barometer. Perfect for planning beach activities. Bulkhead design gives a nautical feel. Mounted on solid ash wood. Splendid addition for any home near tidal water involved in outdoor activities! Perfect gift for that special occasion. Complements the modern home. For home use. Made to order so please allow a few days for despatch. 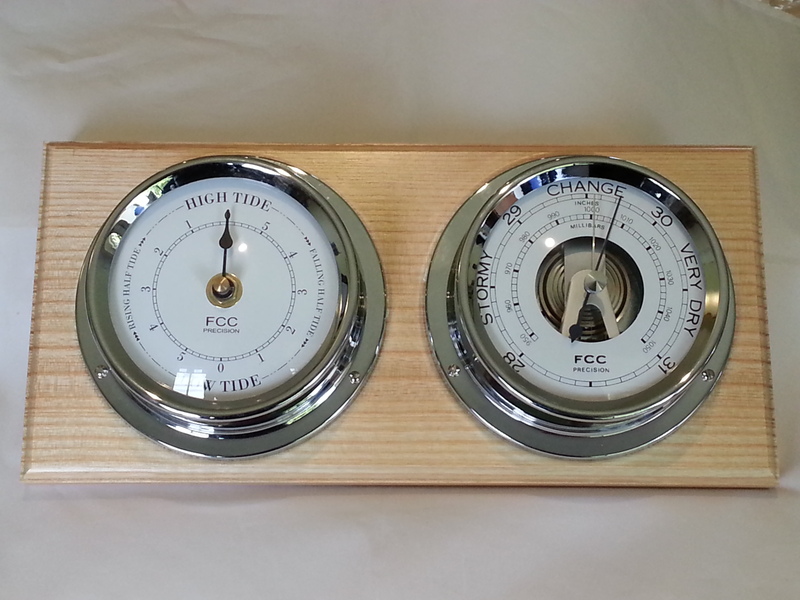 Coastal home set comprising spun chrome Tidal Clock and Barometer. Perfect for planning beach activities. Bulkhead design gives a nautical feel. 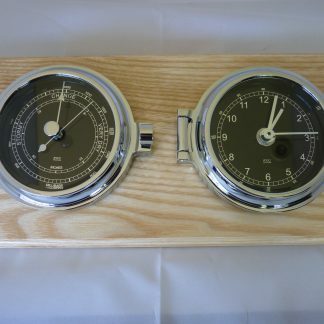 Mounted on solid ash wood. 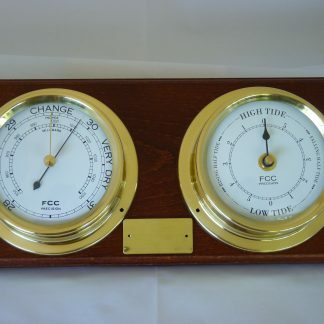 Barometers make useful gifts for anyone involved in outdoor activities and Tidal Clock will predict the high and low tides of the area you are monitoring. The perfect coastal home set of instruments. 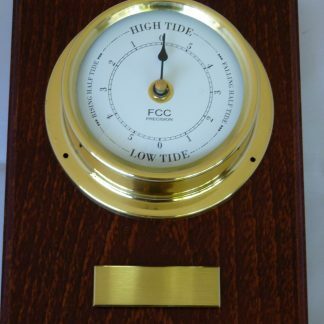 Tidal Clock will predict the average state of the tide once it has been correctly set. Full instructions will be provided to set and use your clock. Battery driven which is provided. Please use good quality alkaline batteries and replace every 12 months to avoid battery leakage. We recommend Super Alkaline 1.5V GP Battery – we do NOT recommend the use of rechargeable batteries. The primary controller of the tides is the moon. The average duration between two transits of the moon around the earth is 24 hours 50 minutes and 30 seconds – this is referred to as the lunar or tidal day. 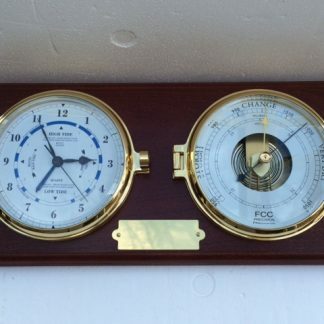 It means the tidal day – to which the tide indicating hand is geared – is 50 minutes and 30 seconds longer than the solar day of 24 hours.